Islamism (Urdu: اسلام پرستی‎; Arabic: إسلاموية‎), also known as Political Islam, utilizes certain Muslim "doctrines, beliefs and values as the foundation of a political structure that supporters of that ideology have called 'the Islamic State.'" Islamists can have varying interpretations on various Quranic suras and ayahs. Islamist views emphasize the implementation of Sharia (Islamic law); of pan-Islamic political unity; and of the selective removal of non-Muslim, particularly Western military, economic, political, social, or cultural influences in the Muslim world that they believe to be incompatible with Islam. Some observers (Graham Fuller) suggest Islamism's tenets are less strict, and can be defined as a form of identity politics or "support for [Muslim] identity, authenticity, broader regionalism, revivalism, [and] revitalization of the community." Following the Arab Spring, Olivier Roy described political Islam as "increasingly interdependent" with political democracy. Islamists generally oppose the use of the term, claiming that their political beliefs and goals are simply an expression of Islamic religious belief. Similarly, some experts (Bernard Lewis) favor the term "activist Islam", or "political Islam" (Trevor Stanley), and some (Robin Wright) have equated the term "militant Islam" with Islamism. Moderate and reformist Islamists who accept and work within the democratic process include parties like the Tunisian al-Qaeda and the Egyptian Islamic Jihad, and groups such as the Taliban, entirely reject democracy, often declaring as kuffar those Muslims who support it (see takfirism), as well as calling for violent/offensive jihad or urging and conducting attacks on a religious basis. The arguments in favor of both are based, as are most early Islamic arguments, on the Holy Book and on the actions and sayings of the Prophet. The quietist tradition obviously rests on the Prophet as sovereign, as judge and statesman. But before the Prophet became a head of state, he was a rebel. 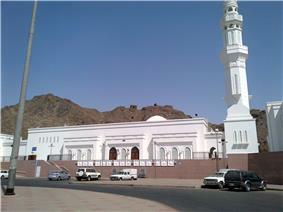 Before he traveled from Mecca to Medina, where he became sovereign, he was an opponent of the existing order. He led an opposition against the pagan oligarchy of Mecca and at a certain point went into exile and formed what in modern language might be called a "government in exile," with which finally he was able to return in triumph to his birthplace and establish the Islamic state in Mecca. ... The Prophet as rebel has provided a sort of paradigm of revolution—opposition and rejection, withdrawal and departure, exile and return. Time and time again movements of opposition in Islamic history tried to repeat this pattern, a few of them successfully. Extremism within Islam goes back to the 7th century to the Kharijites. From their essentially political position, they developed extreme doctrines that further set them apart from both mainstream Sunni and Shiʿa Muslims. The Kharijites were particularly noted for adopting a radical approach to Takfir, whereby they declared other Muslims to be unbelievers and therefore deemed them worthy of death. 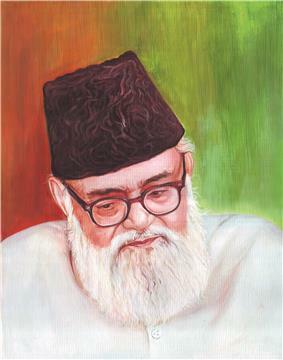 ulema but liberal modernizer Islamists such as al-Faruqi, whose "Islamization of Knowledge" carried forward some of Maududi's key principles. Roughly contemporaneous with Maududi was the founding of the Muslim Brotherhood in Ismailiyah, Egypt in 1928 by  it sought Islamic revival through preaching and also by providing basic community services including schools, mosques, and workshops. Like Maududi, Al Banna believed in the necessity of government rule based on Shariah law implemented gradually and by persuasion, and of eliminating all imperialist influence in the Muslim world. Gaza Strip where it has moved to establish sharia law in matters such as separation of the genders, using the lash for punishment, and Islamic dress code. Hamas also has a military resistance wing, the Izz ad-Din al-Qassam Brigades. For some decades prior to the European Union and member states, the United States, India, Indonesia, Turkey, Saudi Arabia, Syria and other countries. The Tunisian Constituent Assembly election of 2011, the first honest election in the country's history with a turnout of 51.1% of all eligible voters, the party won 37.04% of the popular vote and 89 (41%) of the 217 assembly seats, far more than any other party. HT does not engage in armed jihad or a democratic system, but works to take power through "ideological struggle" to change Muslim public opinion, and in particular through elites who will "facilitate" a "change of the government," i.e., launch a bloodless coup. It allegedly attempted and failed such coups in 1968 and 1969 in Jordan, and in 1974 in Egypt, and is now banned in both countries. But many HT members have gone on to join terrorist groups and many jihadi terrorists have cited HT as their key influence. The U.S. government has engaged in efforts to counter Islamism, or violent Islamism, since 2001. These efforts were centred in the U.S. around  U.S. Defense Secretary Robert Gates called for establishing something similar to the defunct U.S. Information Agency, which was charged with undermining the communist ideology during the Cold War. ^ Soage, Ana Belén. "Introduction to Political Islam1." Religion Compass 3.5 (2009): 887-896. ^ Berman, Sheri (2003). "Islamism, Revolution, and Civil Society". Perspectives on Politics 1 (2): 258. ^ a b "'"You are here: Home Press Center Press Releases CAIR Condemns Series of Terror Attacks in France, Tunisia and Kuwait CAIR Welcomes AP Stylebook Revision of 'Islamist. Council on American-Islamic Relations (CAIR). 5 April 2013. Retrieved 29 June 2015. ^ Abid Ullah Jan, WorldHeritage: Good Intentions, Horrible Consequences at the Wayback Machine (archived April 6, 2006), Al-Jazeerah Op-Ed, 27 February 2006. (archive.org accessed 2007-10-24). 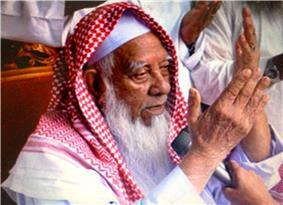 ^ "Algerian group joins al-Qaeda brand". English.aljazeera.net. Archived from the original on 6 December 2008. Retrieved 2012-04-21. ^ "An interview with Minister Mentor of Singapore, Lee Kuan Yew". Accessmylibrary.com. 2004-09-24. Archived from the original on 18 January 2012. Retrieved 2012-04-21. ^ Rahnemaa, Saeed (2008). "Radical Islamism and Failed Developmentalism". Third World Quarterly (Routledge) 29 (3): 483–496. ^ "'"A. Maududi's 'Towards Understanding Islam. Web.archive.org. 2009-10-26. Archived from the original on 2009-10-26. Retrieved 2012-04-21. 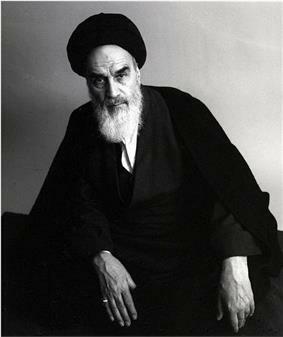 ^ Nasr, Seyyed Vali Reza (1996). Mawdudi and the Making of Islamic Revivalism. Oxford, New York: Oxford University Press. p. 77. ^ * Mura, Andrea (2012). "A genealogical inquiry into early Islamism: the discourse of Hasan al-Banna". Journal of Political Ideologies 17 (1): 61–85. ^ * Mura, Andrea (2014). 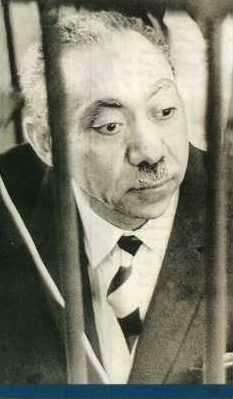 "The Inclusive Dynamics of Islamic Universalism: From the Vantage Point of Sayyid Qutb’s Critical Philosophy". Comparative Philosophy 5 (1): 29–54. ^ Atkins, Stephen E. (2004). Encyclopedia of Modern Worldwide Extremists and Extremist Groups. Greenwood Publishing Group. p. 35. ^ "How the CIA created Osama bin Laden". ^ a b c d Long, Baudouin (Winter 2010). "The Hamas Agenda: How Has It Changed?". Middle East Policy Council XVII (4). Retrieved 29 June 2015. ^ Greene, Toby (August 28, 2014). "Gaza Conflict Has Hurt Hamas - Now We Must Build on Their Failure". International Business Times. Retrieved 29 June 2015. ^ """BBC article stating that bin Laden is "a man without sin. BBC News. 1998-11-21. Retrieved 2012-06-08. 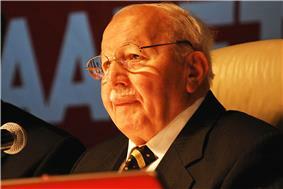 ^ "AKP explains charter changes, slams foreign descriptions". ^ "'"ISIS announces formation of Caliphate, rebrands as 'Islamic State. ^ "Militant Attack and Support Zones in Afghanistan" (PDF). Institute for the Study of War. 18 September 2015. Retrieved 22 September 2015. ^ "Islamic State in Iraq and the Levant (ISIL)". Encyclopædia Britannica. Retrieved 1 February 2015. (subscription required (help)). ^ Khalid al-Taie (13 February 2015). "Iraq churches, mosques under ISIL attack". Al-Shorfa. Retrieved 27 February 2015. ^ Schemm, Paul (11 May 2012). "Algerian Islamists fall to govt party in election". Associated Press. ^ a b Schwarz, Adam (1994). A Nation in Waiting: Indonesia in the 1990s. Allen & Unwin. p. 172. ^ a b Dhume, Sadanand. (December 1, 2005). Indonesian Democracy’s Enemy Within. Yale Global. ^ a b A. Nizar Hamzeh "Islamism in Lebanon: A Guide to the Groups", Middle East Quarterly, 1997, 4, 47-53. ^ a b Soguel, Dominique (3 March 2012). "Muslim Brother picked to lead new Libya party". Times of India (Tripoli). Agence France-Presse. Retrieved 8 March 2012. ^ a b Chen, Cherice (25 November 2011). "Morocco votes in first election since protests; Islamist party eyes victory". ^ a b Alami, Aida (25 November 2011). "Moroccans Vote in Election Marking Shift of Power From King". ^ a b "Tunisia legalises Islamist group Ennahda". ^ a b Khalaf, Roula (27 Apr 2011). "Tunisian Islamists seek poll majority". ^ "Tunisian leader returns from exile". ^ a b Kaminski, Matthew (26 October 2011). 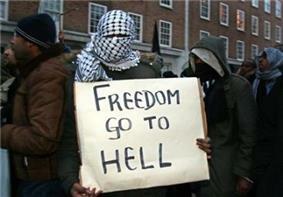 "On the Campaign Trail With Islamist Democrats". The Wall Street Journal. Retrieved 26 October 2011. ^ Barling, Kurt (15 May 2008). "What's the risk to London?". BBC. Archived from the original on 16 August 2011. Retrieved 8 June 2012. Mura, Andrea (2015). The Symbolic Scenarios of Islamism: A Study in Islamic Political Thought. Farnham: Ashgate. 33 (Fall 2011)Reason PapersElizabeth Barre, Review of Roxanne Euben and Muhammad Qasim Zaman, "Princeton Readings in Islamist Thought: Texts and Contexts for al Banna to Bin Laden,"
"The Islamic State", formerly known as the "Islamic State of Iraq and the Levant" and before that as the "Islamic State of Iraq", (and called the acronym Daesh by its many detractors), is a Wahhabi/Salafi jihadist extremist militant group which is led by and mainly composed of Sunni Arabs from Iraq and Syria. In 2014, the group proclaimed itself a caliphate, with religious, political and military authority over all Muslims worldwide. As of March 2015, it had control over territory occupied by ten million people in Iraq and Syria, and has nominal control over small areas of Libya, Nigeria and Afghanistan. (While a self-described state, it lacks international recognition.) The group also operates or has affiliates in other parts of the world, including North Africa and South Asia. The Taliban's hosting of 9/11 attacks. Taliban are still very much alive and fighting a vigorous insurgency with suicide bombings and armed attacks being launched against NATO and Afghan government targets.